In many ways, SEO (search engine optimization) had not changed since the late ‘90s, when search engines were just becoming popular ways to find things on the web. After all, the concept is simple: just make sure that content that you publish contains specific words and phrases that users will likely search for. In the early days of SEO, however, this often meant loading a web page or blog post with a keyword that is repeated several times throughout. That is no longer the case. In those days, search results frequently took users to junk pages. A search for “buy movie tickets” might take you to a site where you would be able to well…buy movie tickets, but it also might have taken you to a text-based page that repeated that phrase, “buy movie tickets,” over and over again in a wall of text to try to get you to click on ads that never interested you in the first place. In response to this, search engines got smarter. Google now assesses the frequency of a keyword or key phrase and its relationship to other terms on the page. This means that SEO has gotten more complex, and (thankfully!) content has been forced to get better if it wants to be seen anywhere near the top of Google’s search results for a given topic. 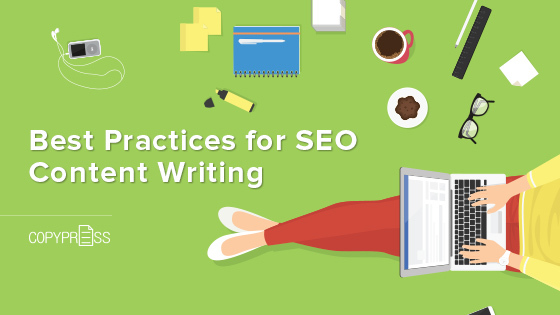 So, what are some of the best practices for SEO content writing in this content-rich world we live in? How can you make your content both engaging to the reader and also find your place at the top of search engine results? Well, the truth is, it’s mostly about creating high-quality content. Search engines no longer attach a single keyword to a single page. Through new indexing protocols, they are better equipped to establish the major themes of a page and determine the keyword searches that a given page should rank for. This means that when creating content, you can not focus on just one keyword, but must include the other keywords that a user might expect to see when conducting that search. For example, if you are searching for “buy movie tickets,” other keywords you might expect to see on that page include “cinema,” “showtimes,” “theater,” and “seating.” Content that does contain some of those related keywords will not then show up near the top of a search, because Google will determine that its content is not relevant to users. When trying to plan keywords for a given topic, Google’s keyword planner is a great place to start. It will let you know all of the related words and phrases for a given keyword so that you can be sure that some of them are included in your content to move you towards the top of the rankings for a given keyword. Image via Flickr by NOGRAN s.r.o. In the early days of SEO, marketers were very concerned with keyword density — that is, the percentage or ratio of keywords to the rest of the text on the page. But while it is fair to say that you probably don’t want over 5 percent of the words on your page to be keywords, the truth is that you should be focusing on the quality of your content, rather than the density of the keywords on the page. Google has many factors that play into where a given page ranks in a search, and keyword density is only one of them. By focusing on creating content that your users actually want to read, rather than trying to find ways to trick the search engines, you put yourself ahead of the game in terms of SEO. There was a time when SEO content writers believed that articles and blog posts should be shorter (around 500 words) in order to optimize content for search engines. After all, conventional wisdom would suggest that users get turned off to long articles and walls of text, so shorter pieces gave them the information they needed while not forcing their minimal attention spans into an uncomfortable situation. Research suggests that longer-form pieces around 2000 words actually fare best in Google search rankings. This is because search engines have gotten much better at determining which content gives quality, detailed answers to user questions, and which content is really adding no value to the internet. 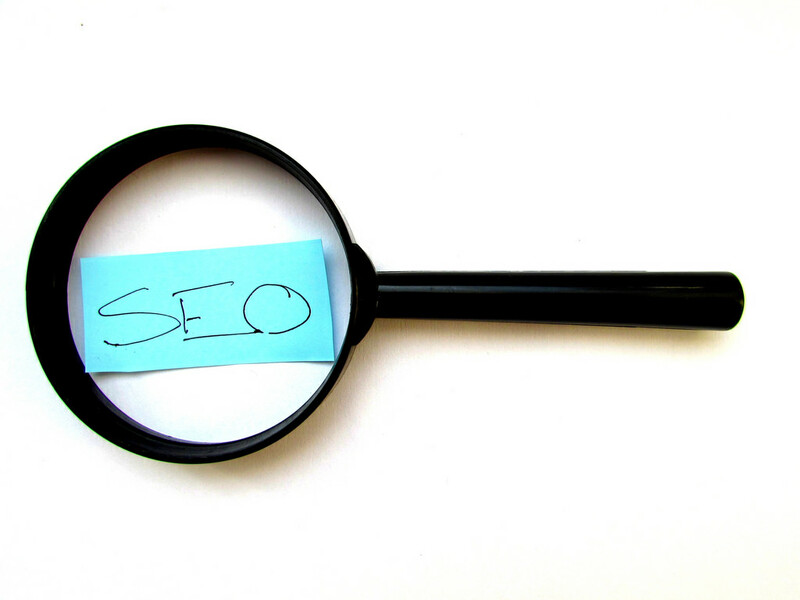 Overall, however, you should let your keyword guide you when determining the best length for your SEO content. If most of the content for your keyword is shorter, it would be a waste of time and effort to create a longer post. Some users are merely looking for quick answers to simple questions that can be written about in a few hundred words, so writing a 2000-word post on those topics would be superfluous. Therefore, when doing your keyword research, definitely consider the length of other pages in your niche and allow that to guide your own decision for how long or detailed an article or blog post should be. Title tags are important because they are often the first impression that a user has of you since they are what appears on the search engine results page. They can help to increase click-through rates and can establish the themes of a page to help you rank higher in a given search. You may want your title tag to include a keyword or two if you can do so naturally. You probably also want it to include your brand name. Consider the intent of the user when creating your titles. Is this a title that will make your target user want to click through? If so, that makes it an effective one. If not, you might want to tweak it a little to make it more useful for them. There are a lot of ways to ensure that your content is finding an audience, however, none of these best practices is ever a replacement for creating high-quality content that adds value to peoples lives. Copypress can help you to develop SEO content writing that will wow your users, while also employing best practices for search engine rankings.